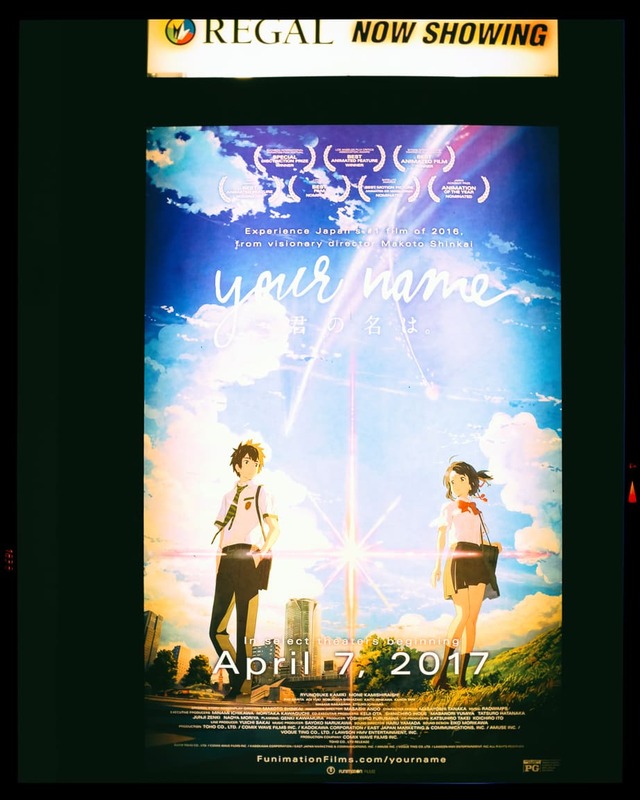 This evening I went with my friend Mikey to watch the Japanese anime blockbuster “Your Name / 君の名は”. It’s the highest-grossing animated movie in Japan of all-time, surpassing even Spirited Away, which is my favorite Studio Ghibli film. I’ve heard so many great things about Your Name that I had high expectations for it, and I have to say that I wasn’t disappointed! I thought the story was amazing, the visuals stunning, and the soundtrack was great. There were several powerful moments, where I could forget that I am a 48-year old 伯父さん and just simply shed an emotional tear or two. Dark theaters you know! But to me, the movie was that good. 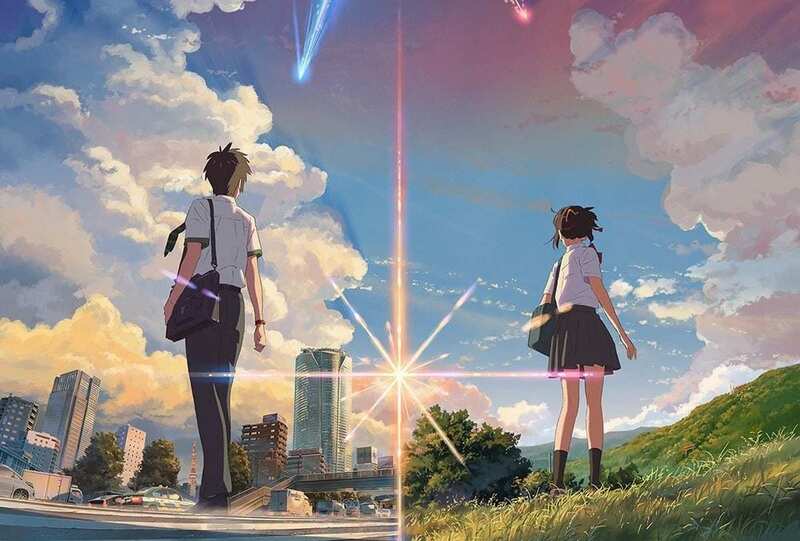 But, the only negative to me (pointed out by my more perceptive viewing companion, Mikey) was the placement of the Radwimps song at the beginning of the film. I do like the song a lot, but it “cheapened” the movie a little bit. Instead of a pure cinematic epic, the song brought it down to a tv-like quality since it looked like the opening of a tv anime. And they showed a lot snippets of upcoming scenes. It was weird. Despite the opening, I thought Your Name was a brilliant movie. I plan on seeing it again soon, and of course owning it when it is released in stores. Recommended, but bring tissues!